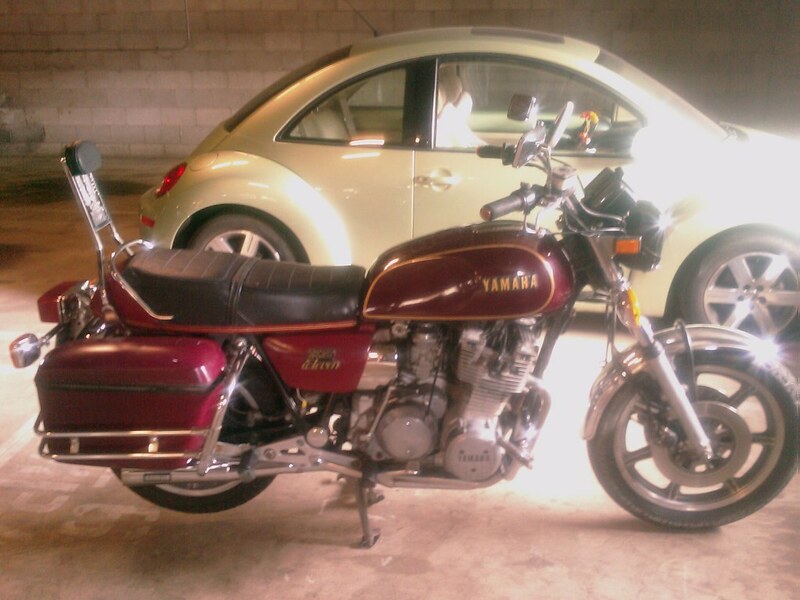 I got a lift out to Arizona this weekend and picked up this Yamaha XS1100e. I managed to lose my camera on the trip so I only have these low res cell phone photos for now. It’s a 1978 model with 49,000 miles on it. Just had the valves refreshed and the cam chain replaced. It’s idling slightly rough, but runs and rides pretty well otherwise. It has a few highly desirable mods for this particular model. The coolest is the replacement of the final drive gears with the gears from an XS750 triple. 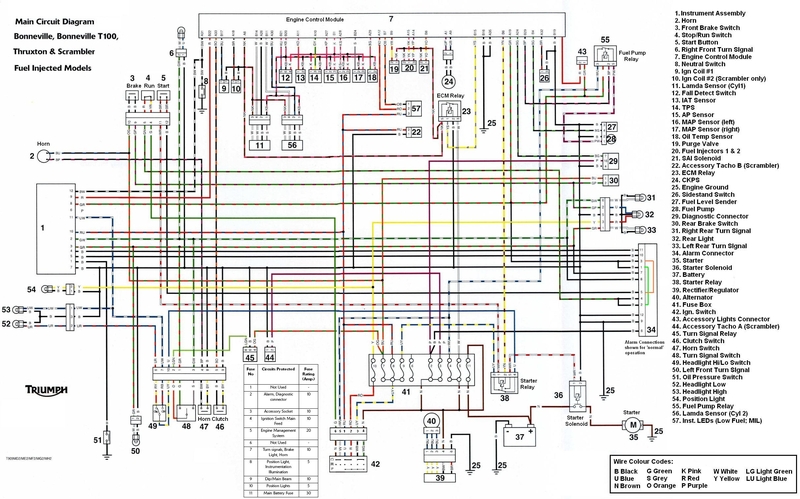 This reduces the highway cruising RPM’s by about 700 and improves gas mileage. 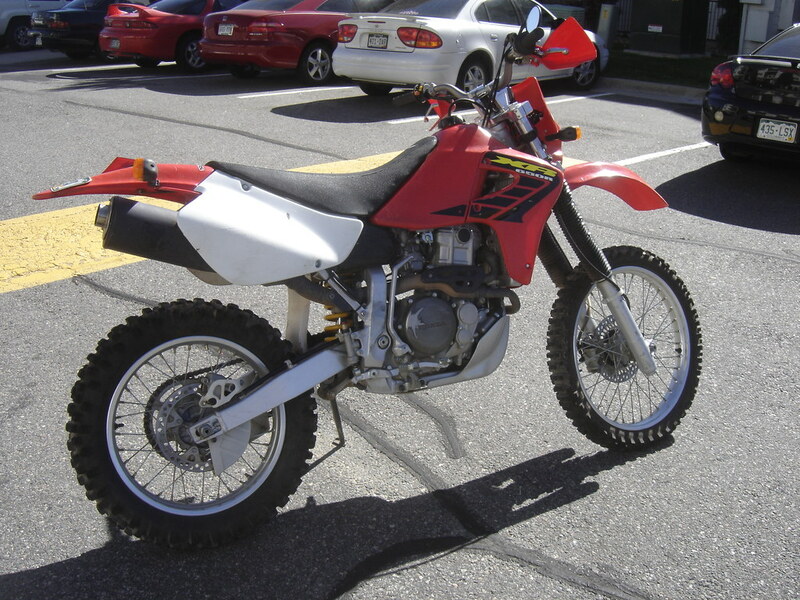 You can also swap out the XS850 gears. They are not a direct swap, but simple enough that it is becoming common to do. It also has Honda 3 ohm coils which removes the need for the ballast resistor. And the Yamaha Venturer auto cam chain tensioner swap. It also has new fork springs, wheel bearings, fuse panel, and a few other pieces. A good solid bike. It needs a little tuning still, but it hums down the highway beautifully. 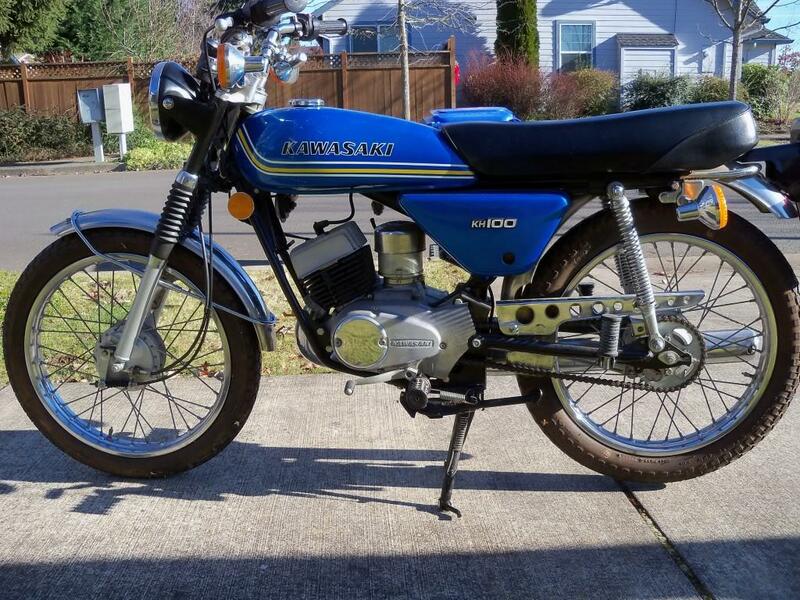 I’ve always liked these XS1100s. 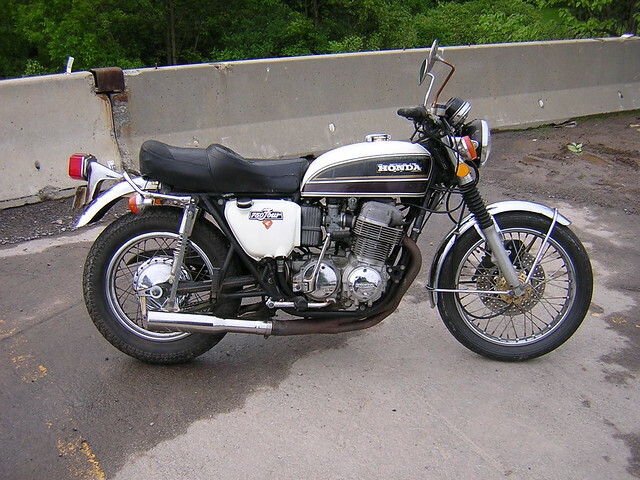 Here’s a photo of a XS1100 primary drive and chain. Look how beafy that chain is!! I ordered up some superbike bend handlebars to swap onto the XS1100. I have put the same bend bars on many of my bikes over the years and always like the look and comfort level – I have long arms. I also ordered some new grips, oil filters, and air filters. 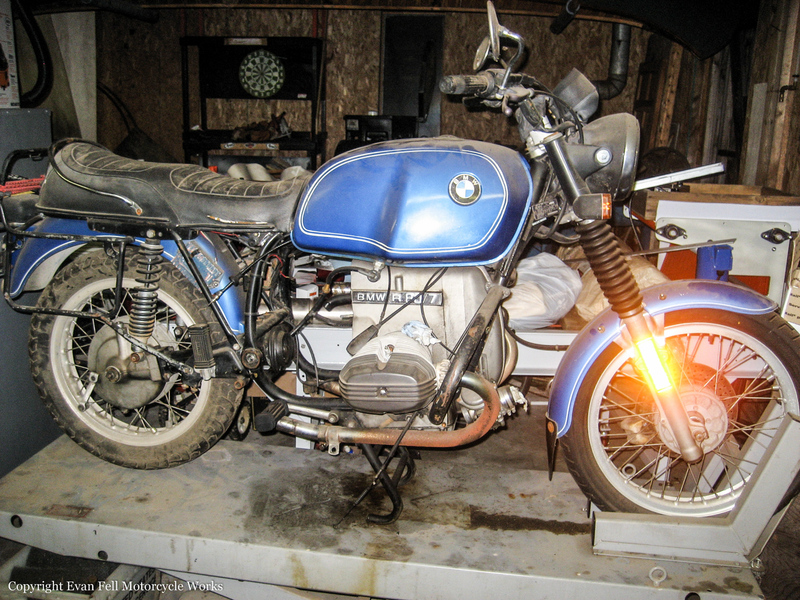 This bike is going to be ready to haul some serious miles! Here are a couple others I put the same bars on. 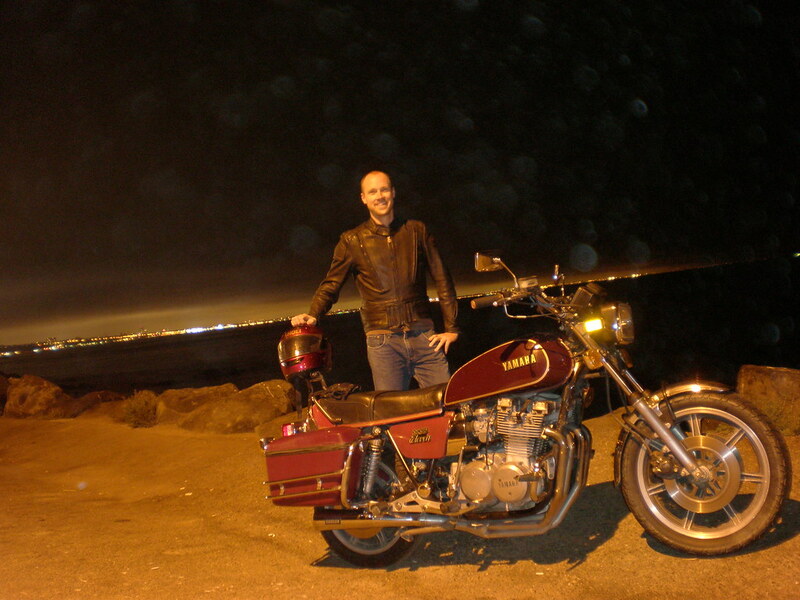 I’ve been out putting lots of miles on the Yamaha XS1100. It cruises so nicely. I adjusted the clutch cable today and it really cleared up some hard shifting symptoms I was having. It seemed to be in adjustment originally, but these bikes like them set a little tight. Does anyone happen to know what the ratio is for the tachometer on an 82 Nighthawk 450? I need to replace mine and I found an aftermarket one on EBay that comes with a matching speedo that looks good. May need to replace speedo as well. I Just replaced the cable but the speedo is sticking. Can find replacement stock speedo on eBay but sadly no tach at the moment. The ratio on the tach is 1:5 and the speedo is 60mph @ 2240 rpm. I know the Yamaha’s and Kawasaki’s use a 1:5 ratio but not sure about the Honda’s. Would these work for my Honda? Thanks. Hmmm. That’s a good question Matt. I didn’t find the answer in my manuals. I’ll have to pass this one off to the readers. Anyone know? 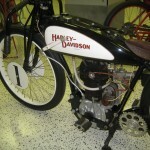 I was just reading an article in Classic American Iron from a year ago posing a question about one of Joe Petrali’s flat track race bikes. 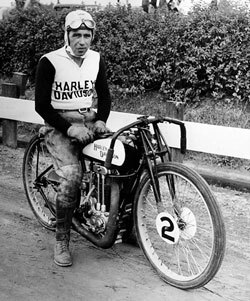 I’ve been on a bit of a flat track kick lately and was just posting a few cool photos over in the forums, so I thought I’d answer it for them (since I know the answer). 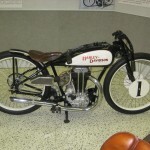 They ask about the double down tubes on Joe’s bike (seen in the photo to the left) and ask why the bike same bike, which is on display at the Indiana Motor Speedway Museum, has only a single down tube (seen in the photos below). The answer may be obvious to some, but it’s an interesting bit of history so allow me to explain. I know I know, another Yamaha XS1100 post. Thankfully many of my readers are into them just as much as I am. To the others, please bear with me. 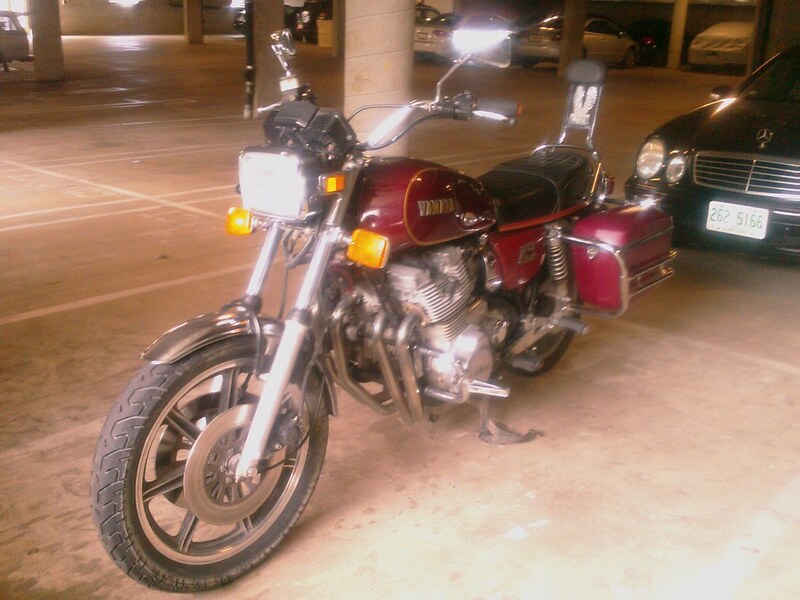 Anyone who knows me or reads this blog knows I have a predilection for Yamaha XS1100’s. I’m not sure how it developed, but that’s not what’s important. What’s important are the bikes! 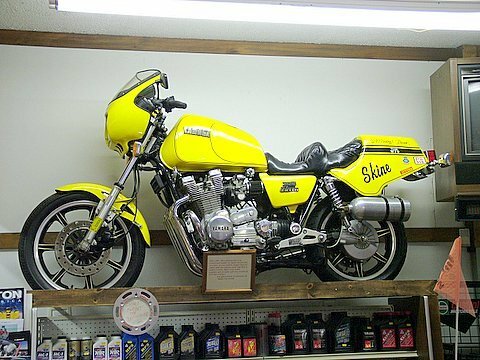 I recently stumbled upon this spectacular custom built example and thought I would share. 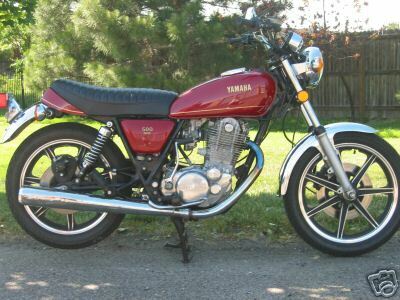 Since I’m already on the topic of late 70’s Yamaha bikes and mentioned my sorted history with XS1100’s yesterday, I figure I ought to dispense a little information about how to build one properly into a long distance touring bike. 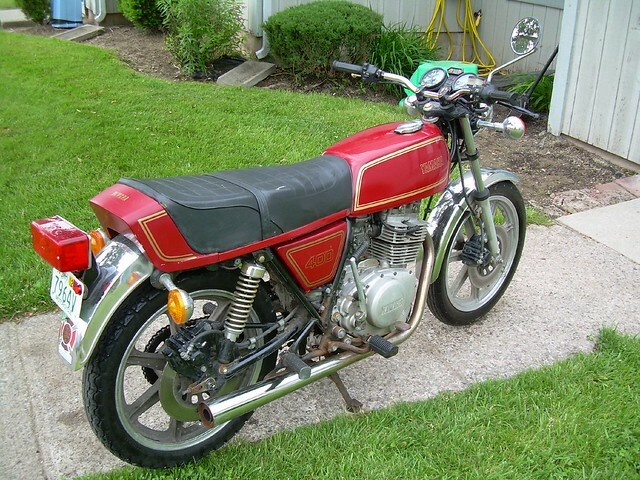 This is my 1978 Yamaha XS1100 that I picked up in Arizona. 1978 is the first year of the XS1100 and also the best in my opinion if for nothing else than they came with a kickstart shaft. They do not have a permanently affixed kicker, but one can be easily bolted on. They instead came with a small kickstart lever hung under the seat for use in emergencies. 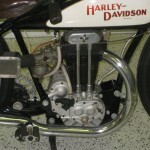 The later year XS1100’s did not come with a lever or shaft in the engine. The hole for the kickstart shaft was plugged and the space for the mechanism inside the cases was left empty.